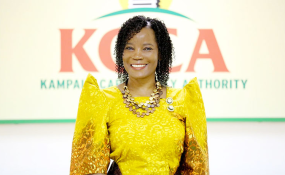 Kampala, Uganda — Jennifer Musisi has resigned as Executive Director of Kampala Capital City Authority (KCCA). In a letter to President Yoweri Museveni, Musisi said "one of the main challenges has been to reconcile the competing interests between political perspectives/decisions and the strategic plans, policies, regulations and work plans of the KCCA Technical Team. Consequently, it has increasingly become difficult to achieve set targets."